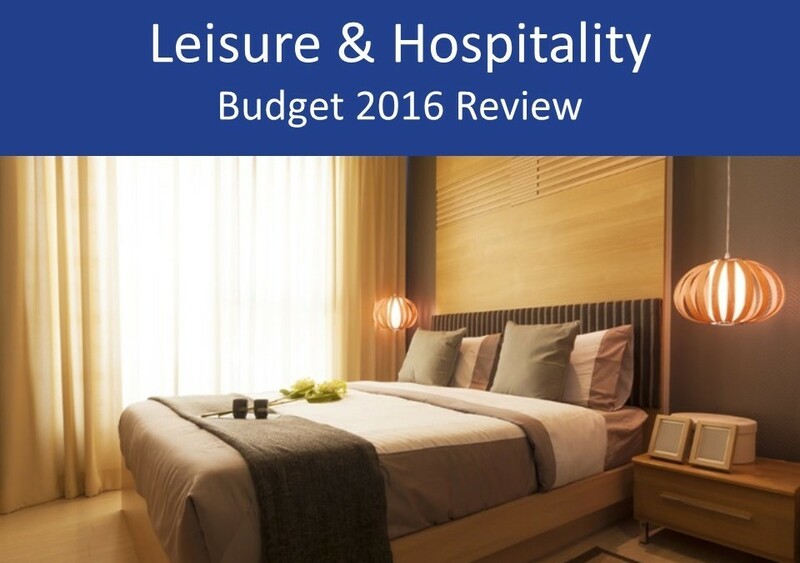 In this leisure and hospitality 2016 Budget review we summarise the key points and developments arising from the 2016 Budget and focus specifically on what the changes may mean for the leisure and hospitality sector. Welcome news, but where’s the real change? The freezing of fuel duty for yet another year is welcome news for the leisure and hospitality sector. Restaurants, pubs, hotels and wedding venues all rely on the delivery of goods in some capacity, so a frozen fuel duty will see a check on costs. One again the Chancellor backed pubs across the sector with a freeze in beer and cider duty. Last year the Chancellor introduced a cut in beer and cider duty for the third time in a row. The planned rises in wine and spirit duty, however, were unwelcome surprises. In an effort to reduce obesity in the UK the Chancellor also announced a levy on the soft drinks industry, which will be introduced in two years’ time (2018). We wait and see what the impact of this change will mean for the sector, but it could see increases in supplier prices and a likely fall in demand for such products. The sugar tax also exempts milk-based drinks which is good news for the sector and good news for coffee shops. The exact details behind the sugar levy were not disclosed. Following last year’s reform of residential stamp duty, the Chancellor announced that commercial stamp duty will be reduced for small businesses with a zero threshold for commercial properties with a value of up to £150,000 and 2% on the next £150,000. This new tax regime on commercial stamp duty comes into force on 17 March 2016. Corporation tax rates were once again cut by the Chancellor in the 2016 Budget, which will of course bring tax opportunities for small businesses and their owners. 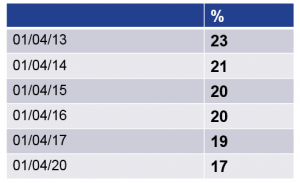 The tax rate currently stands at 20% and was proposed to fall to 18% by 2020 (announced in the 2015 Budget), but will now fall to 17%. Scott Sanderson began his career with Hawsons and trained as a Chartered Accountant, becoming a partner in 2015, specialising in the healthcare sector and small businesses. For more details and advice, please contact Scott on ss[email protected] or 0114 266 7141.